Can’t Wait to Show You is the first member of the Belly Books Collection, durable board books made in the USA — and written and illustrated by your friends at The Reading Womb, Susan Lupone Stonis and Jacqueline Boyle. 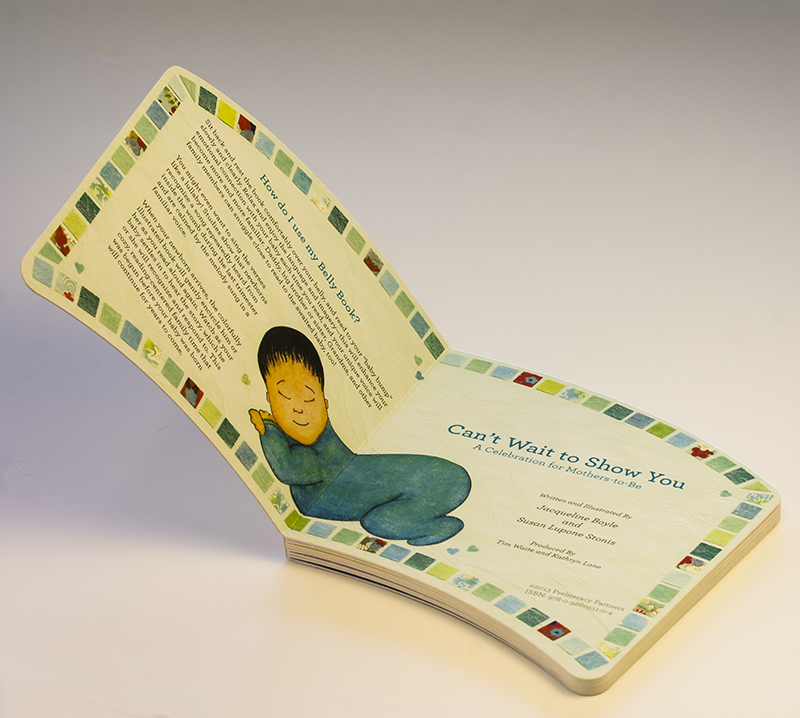 Belly Books are inspired by the wealth of scientific evidence (with which our readers are already familiar) showing the powerful effects of reading to babies in utero. The rhythmic, repetitive story, read regularly during the last trimester, soothes and stimulates your baby before and after he or she is born. 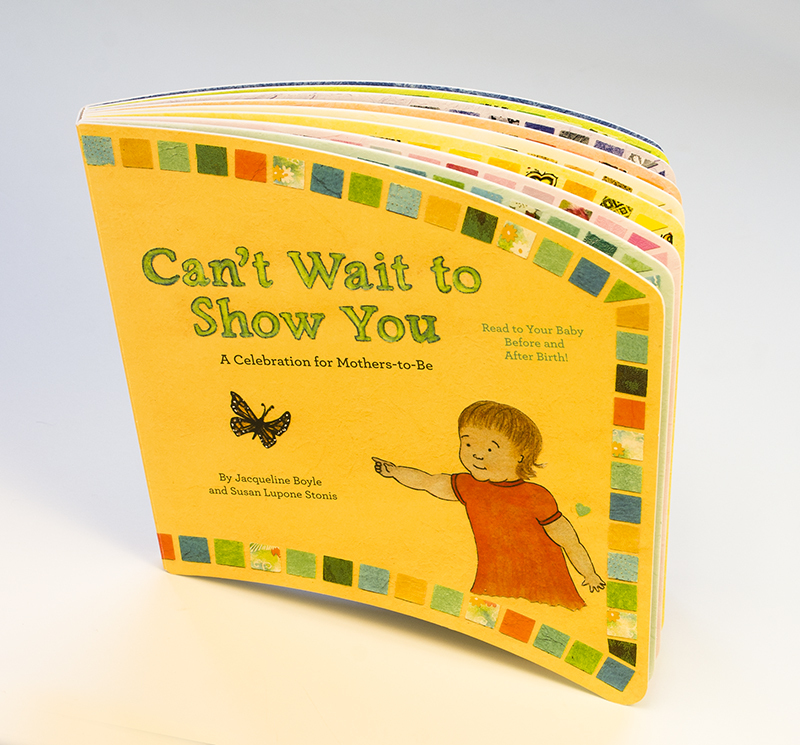 At the same time, the sweet verses and illustrations allow you to celebrate this time of joyful anticipation. And look! It’s got a uniquely rounded shape to fit comfortably over your belly! Just when we thought things couldn’t get any more amazing in the realm of prenatal language development, our socks have been knocked off by a brand spankin’ new study. 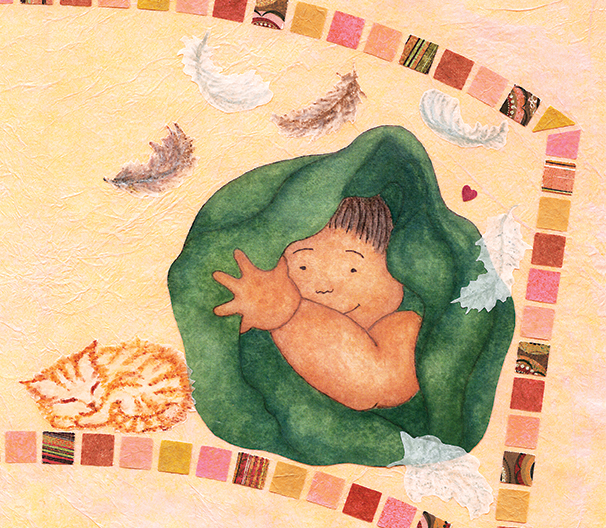 The New York Times and The Washington Post have just reported on research that was recently done at the University of Helsinki that demonstrated that babies in the womb remembered and were soothed by lullabies that were heard in the womb during the last trimester. 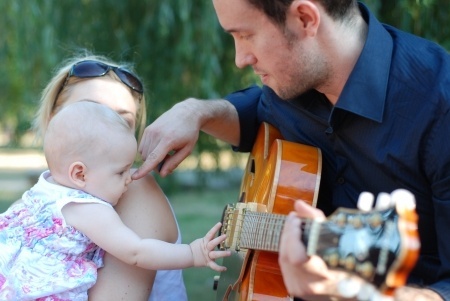 The study suggests that the repetitious and rhythmic quality of the music creates pathways in the brain that remain with a baby for weeks after birth. The song “Twinkle, Twinkle, Little Star” was played to the baby prenatally and then again after birth. 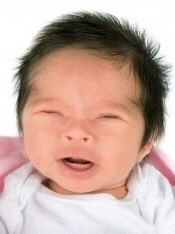 Newborns were calmed from crying by hearing the familiar song, and most interestingly, were not fooled if even a few notes of the song were changed. As a matter of fact, they would continue to cry until they heard the original melody! Not to toot our own horn (TOOT! ), but we at The Reading Womb have been saying this for years! Preborn babies latch on to rhythm and repetition of the language that they hear from inside the womb, and are calmed and soothed when it is repeated after birth. Co-author of the study Dr. Eino Partanen “suggested that expectant mothers could sing a certain song to their unborn child and that later on, if the baby is crying or stressed, singing the same melody could serve as a soothing reminder of their time in the womb.” Amazing! Please check out the Research section in our sidebar for links to other studies that show the magic of a song or story — it doesn’t matter which, as long as what your baby hears is repetitive, rhyming, and rhythmic, and that she is exposed to the words regularly during the last trimester. There is someone else whose horn we have to toot! Toot-toot to Penny Simkin, a long-respected and beloved parenting and pregnancy expert who has been recommending for decades now that expectant parents sing to their babies. Penny contributed this wonderful and comprehensive article on the subject to the Science & Sensibility blog of Lamaze International. If you want to see for your own eyes the amazing benefits of singing to your baby before and after birth, you must check out her recent YouTube video. You will see two expectant family members, a father and a big sister, who sing to the baby during the last trimester. Once the baby is born . . . well, you really must see this phenomenon for yourself, with hanky at the ready. Incredible! We’re guessing that the next groundbreaking studies will focus on how a baby in the last trimester grows to love and be calmed by the voices of not only his mother, but his father, siblings, grandparents, and other close family members, too. So, expectant families, the research says it loud and clear: It’s never too early to read — or sing! — to your baby!